The Chocó cloud forest has been declared a UNESCO Biosphere Reserve. Find out where it is, how you can visit and why it is now the seventh place in Ecuador to be recognized by the international organization for its community conservation efforts and global biological significance. Anyone who has visited the Andean Chocó will attest to have glimpsed a little bit of magic. Shivers of water bouncing off giant leaves, cascading waterfalls muffled by endless green, palm trees that walk, moss that grows before your eyes, flocks of multicolored birds and electric-blue butterflies the size of ping-pong paddles: this system of cloud and rainforests the size of 35 million football pitches is awesome in every sense of the word. But that’s only half of it. The hands-on communities, people who are passionate about preserving this natural Ecuadorian paradise, are every bit as enchanting as the steaming landscapes they seek to protect. For one of South America’s smaller countries Ecuador packs an ecological punch. The Andean country now has seven Biosphere Reserves including the Galapagos National Park and Yasuni in the Amazon. Where and what is the Ecuadorian Chocó? Located barely 45 minutes northwest of Quito, the capital of Ecuador, the Chocó hugs the western slopes of the Andes, the mountain range that cuts off the Amazon region from the Pacific coast. The 187,400 km2 (72,355 mi2) area belongs to a broader biogeographical region that runs from Panama to Peru. The Chocó is one of few regions that includes both rainforest and cloud forest. The vast diversity of the landscapes and wildlife found within them is caused by the variations in elevation. The altitude here ranges from 2,200 meters (7,218 feet) above sea level – where you’ll find montane forests turning into cloud forest – to 900 meters (2,953 feet), where cloud forest gives way to tropical, coastal forest that continues almost all the way to the Pacific Coast. This exceptional difference in altitude means that a fantastic array of plant and animal species (many of them endemic, or unique, to the area) make their habitat among the dense, misty green. These include 270 mammal species like spectacled bears, anteaters and puma. 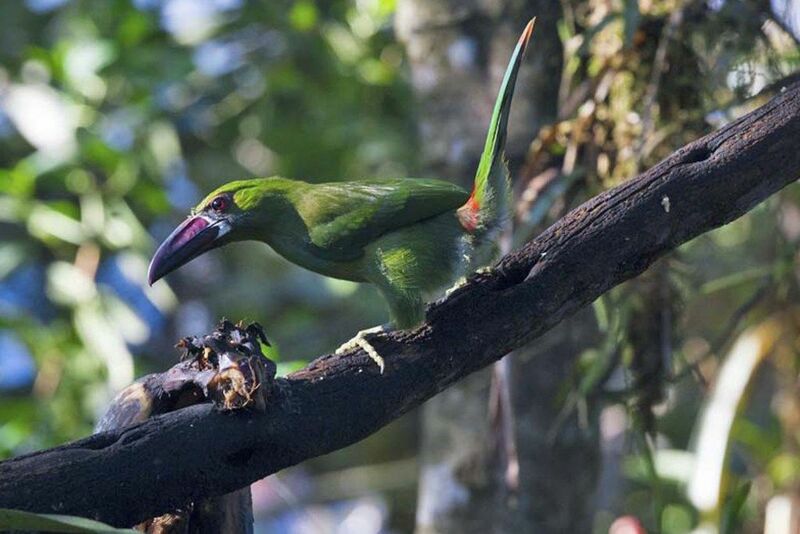 It is also a birding hotspot: around 600 species of birds can be sighted in the humid forests, the bright colors of toucans and hummingbirds vibrant against the morning fog. What’s more, the rolling slopes give rise to some astounding views. When the mist clears over the canopy it feels as though one could see almost all the way from the Andes to the ocean. For decades, biologists and conservationists have flocked to the zone to study the flora, fauna and ecosystems, shedding new light on symbiotic relationships and behavioral patterns. New species of flora and fauna have been discovered consistently over the years, including the small mammal, the olinguito. A Biosphere Reserve isn’t just richly biodiverse and scientifically interesting. It must have a strong human community who actively support the conservation. According to UNESCO, a Biosphere Reserve must serve the combined purposes of conservation, development and logistic support. It must give equal weight to the needs of the natural biodiversity and to those of the communities who live there, encouraging dialogue for conflict resolution and seeking conservation and sustainability solutions. 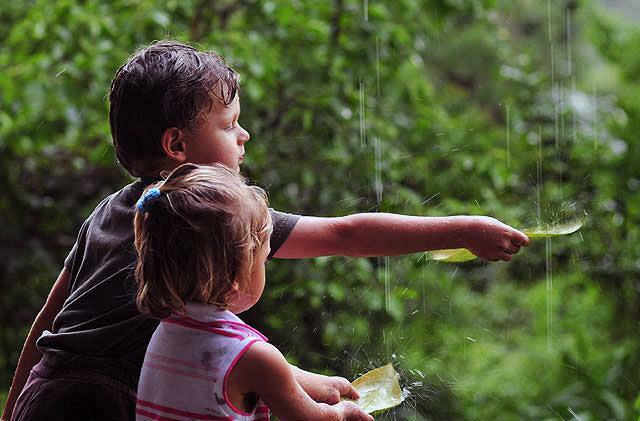 It promotes sustainable development as well as investigation and protection. The 700 Biosphere Reserves around the world each have a “core area” where the ecosystems and species are strictly protected; a “buffer zone” where ecologically sound activities and scientific research can take place; and a “transition area” where more activity is allowed and human developed is fostered. Why was the Chocó declared a UNESCO Biosphere Reserve? Inty Arcos, the coordinator of the Commonwealth Council of the Andean Chocó, told El Comercio newspaper that the process of sustainable development began some 20 years ago. It was only four years ago that the project truly took off. Around 880,000 people live within the Andean Chocó, many of whom moved to the virgin lands as pioneers in the second half of the last century. They hunted the puma and armadillos, felled the great, 600-year-old trees, and destroyed the natural habitats of countless endangered species, from howler monkeys to glass frogs, to grow crops. Along with dedicated conservationists and community members, the council (known as the Mancomunidad) set up reforestation projects and prevented locals from hunting endangered species. Many locals are now involved in community tourism: former armadillo hunters now guide visitors around the forest; former agricultural laborers are waiters in sustainable hotels. Where can you stay in the Chocó? The best way to experience the Chocó is to stay in the heart of it. 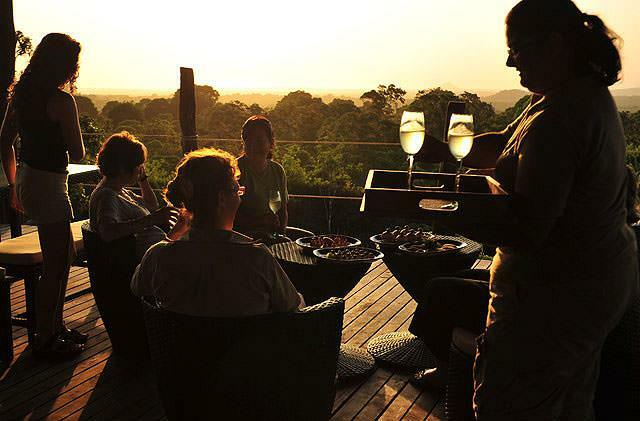 Mashpi Lodge is a cocoon of luxury in the clouds with exceptional attention to detail and service. 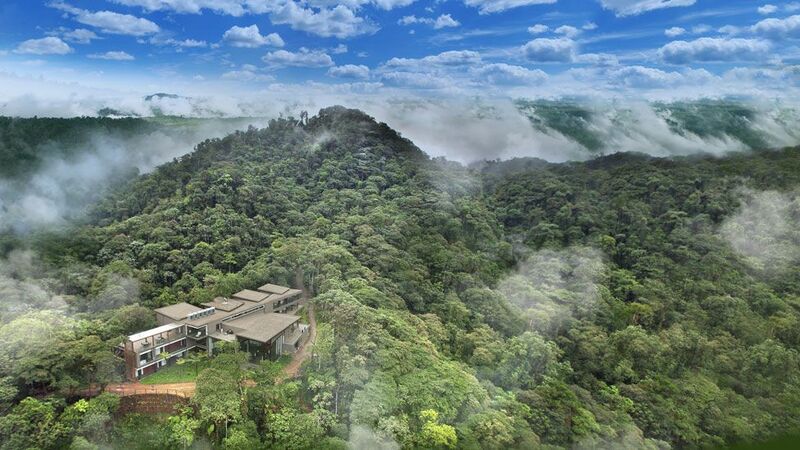 As well as an onsite science team, it features a cable car that glides for 2km (1.2mi) along the canopy allowing an unprecedented perspective of this mysterious part of the forest. 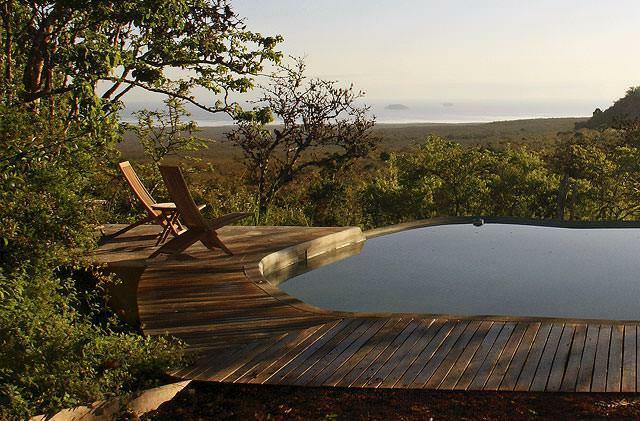 The award-winning eco lodge has attracted international attention with its conservation and community projects – 90% of its staff come from the surrounding communities. Did you know that the Galapagos National Park is also a Biosphere Reserve? See our Ecuador Mainland Safari Holidays for our suggested extensions and recommended activities, or contact us for a tailored itinerary.